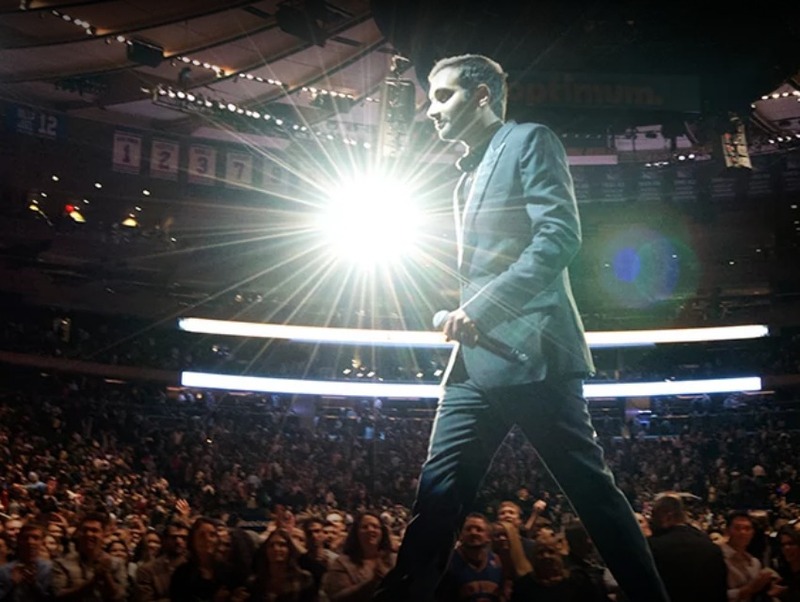 Proving again that he’s our favorite food-obsessed comedian, Aziz Ansari uses his new Live at Madison Square Garden Netflix special to tell jokes about fresh-pressed juice, how knowing about the horrors of factory farming doesn’t outweigh his desire to eat meat, how vegetables are always in season somewhere, and how useless non-egg-laying male chickens are killed in the most inhumane ways. Yes, Ansari manages to turn serious issues about our food supply into funny, crowd-pleasing riffs. His opening salvo, though, is about the bravery of immigrants who leave everything to come to America. This isn’t a light subject, either, but Ansari makes it amusing with jokes about food.